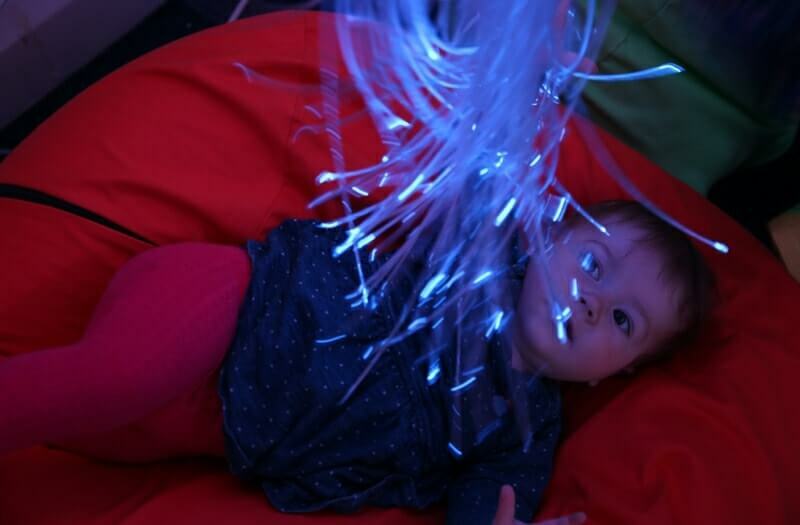 Interactive Fibre Optic Chandelier adds extra sensory activity by way of controllers. 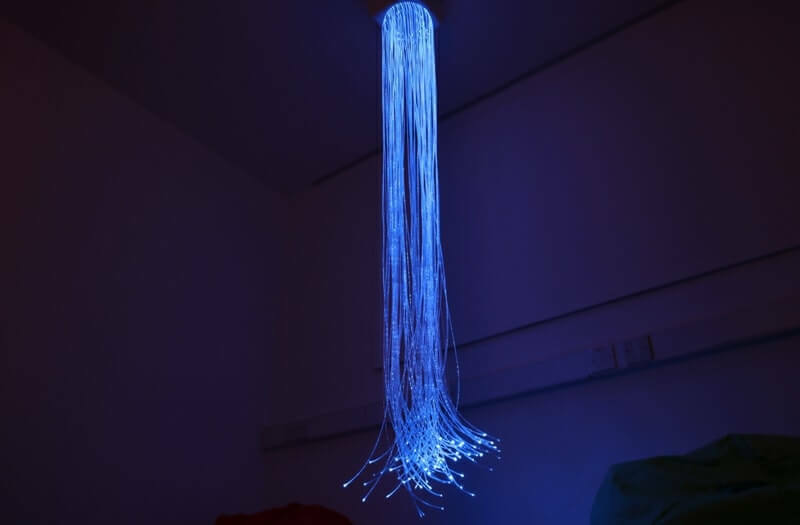 You can choose between using a Sensory Remote Control or Dice Remote Control to control the colour of the LEDs on the strands of the Interactive Fibre Optic Chandelier. Using these remote controls gives the user the benefit of colour recognition as they develop visual sensory learning. 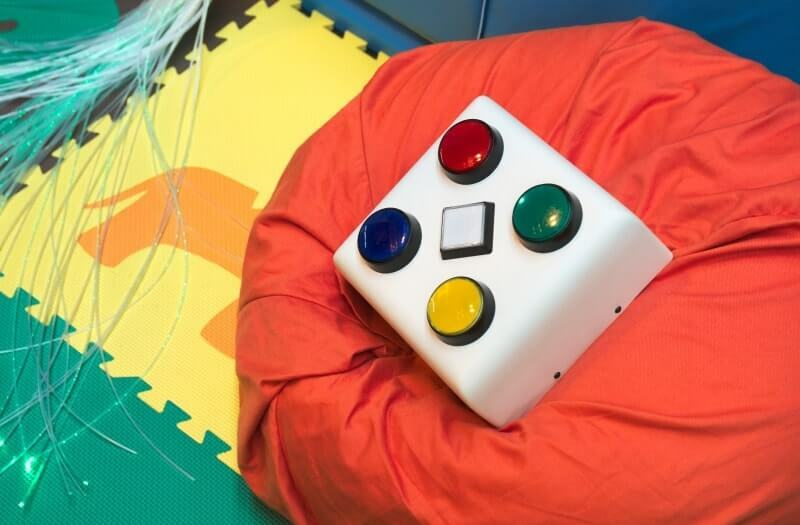 Alternative switches can be used by using the 3.5mm jack port on the Sensory Remote Control giving those with preferred switch access the ability to interact with the chandelier. The remotes are completely wireless and are therefore ideal for users in wheelchairs. 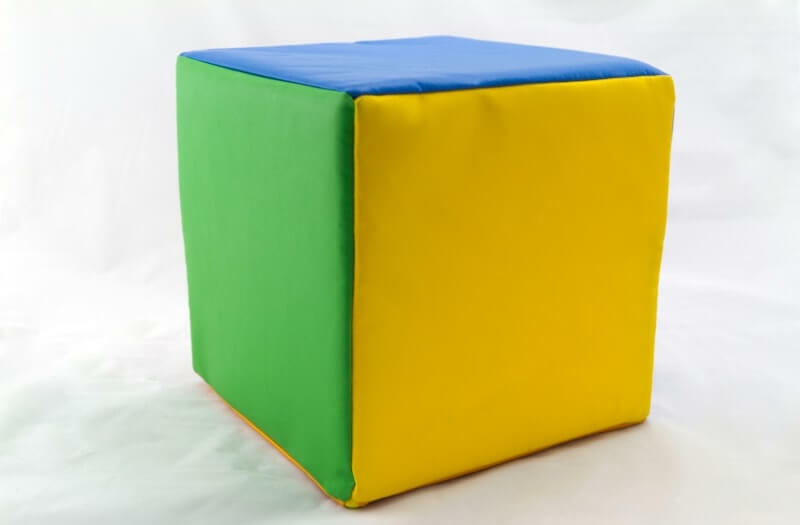 The robust unit can be fixed securely to a ceiling or wall and is a great way to utilise space in a sensory room. 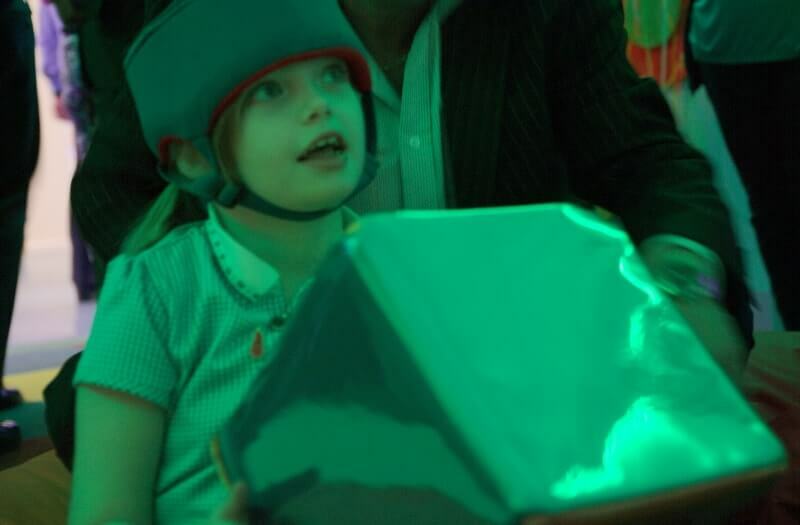 It is also ideal for wheelchair users to sit under and enjoy a sensory experience. 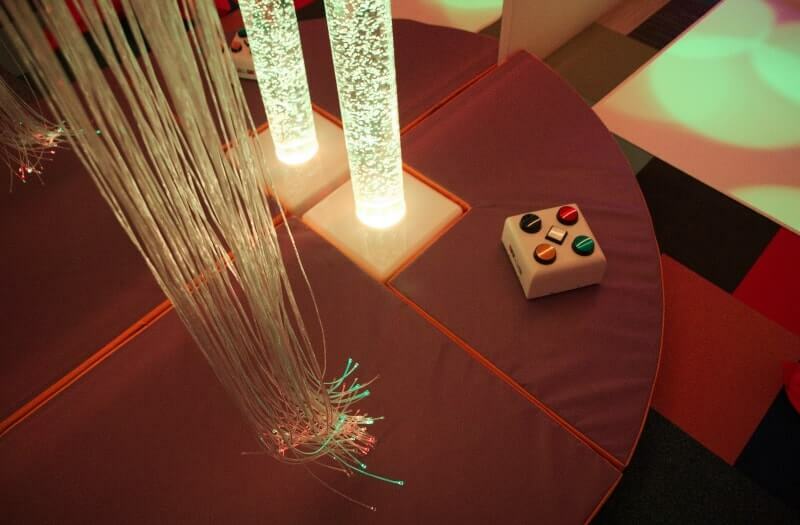 The Interactive Fibre Optic Chandelier uses the option of having two different sensory remote controls. 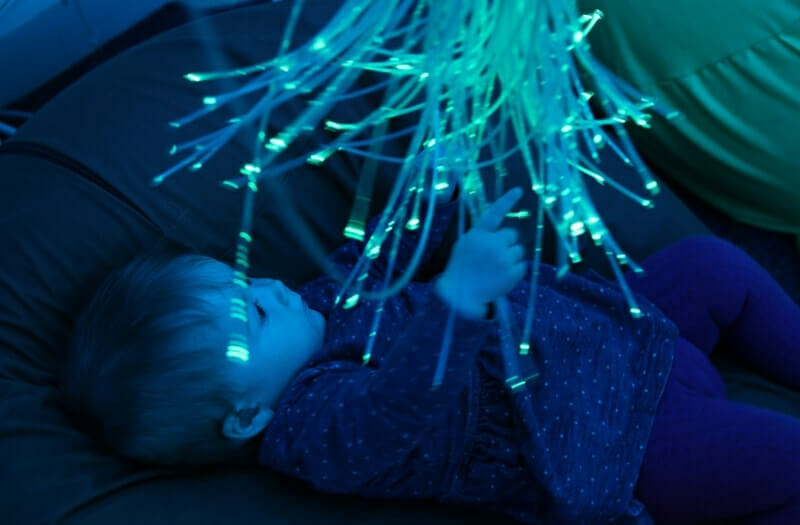 You can choose between using a Sensory Remote Control or Dice Remote Control to control the colour of the LEDs on the strands of the Interactive Fibre Optic Chandelier. Do I need to buy the Lightsource separately? No, as the Lightsource is built into the top of the unit. Please clarify the type of Lightsource when an order is placed. 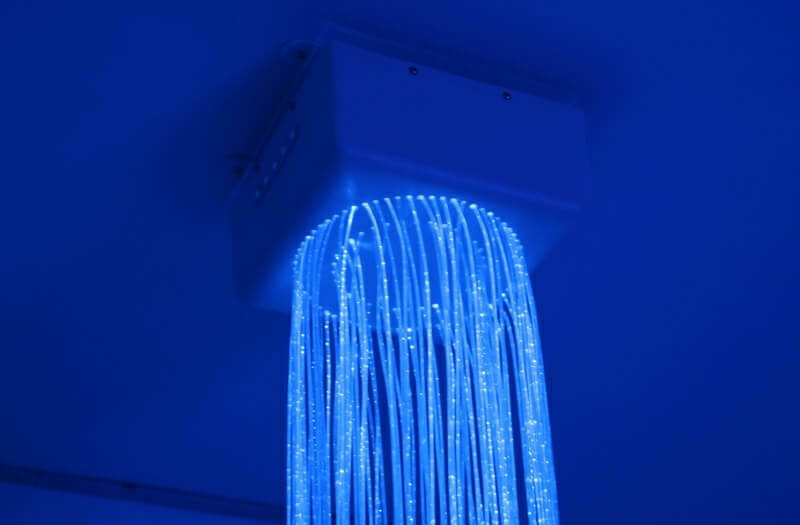 How does this product connect to the ceiling? Our Chandeliers are fixed on to appropriate walls with two metal brackets. Depending on the type of wall you want to fix it too will depend on what type of screws you need. Please note that we do not supply specialist screws. What length does the curtain come in? We have two options of 2M or 3M lengths.